City face the Northern Premier League Division One North side in the first round this weekend. The Grecians famously lost to Curzon Ashton, who played at the same level as Warrington, in the first round in 2008. "We'd be complacent and unprofessional if we just do the same again, that'd be lazy," Tisdale told BBC Radio Devon. "We have to consider history. Playing in the FA Cup, you get very few opportunities to just turn up and win the game." City have won just one FA Cup game since that shock defeat by Curzon Ashton, beating non-league Nuneaton Town 4-0 in the first round in 2009 before losing to MK Dons in their next match. 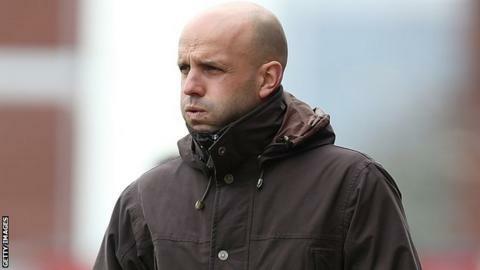 The Grecians have not made the third round under Tisdale, who is the second-longest-serving manager in the Football League. Their last appearance at that stage was when they took Manchester United to a replay in January 2005. "We're playing against a team that, regardless of their league position in the pyramid, have won games to get to this point," said Tisdale, who helped non-league Team Bath to the first round in 2002. "They'll be playing the proverbial cup final against us, it'll be a different type of surface and a different type of stadium and history will tell you that it's not going to be easy to win the game."